We have all heard the old saying, “failing to plan is planning to fail,” and nothing could be more true when it comes to our organization succession goals. The essential first step is to formulate a plan on what your objectives are when you decide to leave your establishment. The next, and by far the most important, step is to actually put the plan in writing. This is where the Buy Sell Agreement comes into play. A Buy Sell Agreement is nothing more than a written plan outlining the steps that should be taken in the event of a business owner’s death, retirement, or even potential disability. The agreement should outline the events that must occur to cause the sale of the firm and to whom the entity should be transferred when these events occur. There are several types of agreements that can be used: Cross Purchase Agreements, Stock Redemption Agreements, and Wait and See Agreements. The type of agreement necessary for a specific business is beyond the scope of this article and should be discussed with a qualified attorney well versed in Buy Sell Agreements. Other important factors needing to be addressed include determining when the sale should occur and whether it requires a lump sum buyout or an installment sale spanning months or years. Without a proper Buy Sell, we are leaving our loved ones in financial jeopardy upon our deaths, but often overlooked is the impact on the surviving principals of the concern. Imagine you are a partner in a venture, and your business partner passes away. What do you think the chances of the continued success of the organization would be if the spouse or children of your deceased partner now become owners in the company with you? If you didn’t want this to occur, you would be confronted with the very real potential of having to sell institutional assets to buy out those heirs. Planning how you are going to fund the Buy Sell is just as important as putting the agreement in place. There are several options available to fund the Buy Sell, but not all are advantageous. In anticipation of a future buyout, a fund can be created to save for the potential event. This is called a sinking fund. The sinking fund requires money to be set aside to be used at a later date. One of the problems of the sinking fund is the capital is generally left idle and loses the opportunity to generate current investment returns. 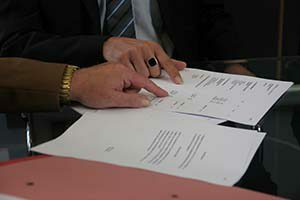 The second option compels the future buyer to take out a loan to fund the buyout. The weakness of the loan option is that at the time the money is needed, the purchaser may not be able to secure a loan for the buyout. Another option is the installment sale. The money to fund the long-term buyout (installment sale) will typically come from the business’s operating capital. At this point the family is at the mercy of the purchasers to continue to run the business successfully, and the family may have the need for a larger amount of money to help cover living expenses, children’s college tuition, taxes, etc. On the flip side, the purchaser now loses a set amount of operating capital and/or profits to keep the business running successfully. 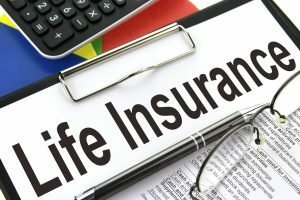 The final, and most advantageous, method of funding a Buy Sell is life insurance. In the event of death, the funds are immediately available to pay the family of the deceased partner without any financial drain on the business. The family has the funds necessary to cover personal expenses, taxes, etc. But what if the business owner simply wants to retire? A properly designed cash value insurance policy is extremely effective here as well. The buyout may be structured so the departing owner takes the policy with him or her upon retirement. The policy has been designed to accumulate tax free capital, and now that capital can be used as part of the buyout, providing some or all of the purchase price of the business. The departing business owner is protected by having the cash value of the insurance, and the family is protected thanks to the death benefit on the policy. The remaining business partner is protected because there wasn’t a large financial drain on company assets to buy out the departing owner. The life insurance policy also provides the same protection if the business owner becomes disabled and is no longer able to work. 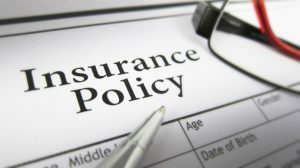 Funding the insurance policy creates a predictable premium payment either through the business or individual owners. One very effective way to fund the policy is through the use of premium finance. I have discussed premium financing in other articles, but in short, it allows you to leverage your funds, typically on a 3 to 1 ratio. The purchaser of the policy pays roughly 25% of the premiums for a five-year period, and a third party lender pays the remaining 75% over a ten-year period. The use of premium financing allows capital, that would otherwise be used to fund the policy, to be available for other purposes. Designing the proper succession plan is just as important as determining the initial mission statement for your company. Unfortunately, the essential exit strategy is too often overlooked by business owners. A properly funded Buy Sell Agreement using cash value insurance protects the departing owner during retirement, protects the family in the event of death or disability, and protects the remaining business owner or new purchaser by maintaining a solvent business that can still succeed after the departure of an owner.